Obituary for Richard Anderson Harris, Sr. | Beach Funeral & Cremation Services, Inc.
Richard A. Harris, Sr., 77, entered into eternal rest on February 12, 2019. He was born June 13, 1941 as the oldest child of the late Richard and Thelma Harris. Even though he was born in Baltimore, MD, Richard was raised in Virginia Beach. He graduated from the Princess Anne Training School and enlisted in the US Army. 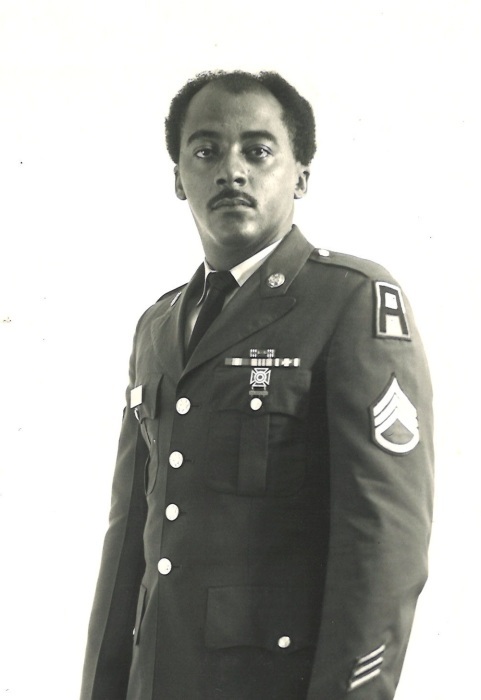 Richard proudly served his country retired as a Master Sergeant, E-8. Richard was a faithful member of Campbell’s Chapel AME Church where he served as Trustee, Usher, Senior Choir and Male Choir. In his spare time, Richard loved restoring old antique trucks and bowling. Besides his parents, Richard was predeceased by one son, Maurice Harris; five siblings, George Harris, Gloria Harris, Golden Harris, Shirley Williams and Deborah Lewis. Richard leaves to cherish his memory, his wife of 60 years, Alice Harris; four children, Ronald Timmson, Michael Harris, Richard Harris, Regina Harris; two sisters, Virginia Harris, Donita Powell (Thomas); seven grandchildren, Kinna Simpson, Javon Harris, Ronell Cuffee, Kina Cuffee, Skenica Moore, Tylar Harris, Dentrell Owens; brother-in-law, William Albritten (Sharon); sister-in-law, Truemilla Cunningham, a host of great grandchildren, nieces, nephews, and other family and friends.